According to 88% of marketing directors in our research (posted here) smaller, ’insurgent’ brands pose a serious threat to big brands, In this post I share some real-life learning from ‘inside an insurgent’ called Gran Luchito, to hopefully provide inspiration for small brands starting out, and big brands looking to fight back. 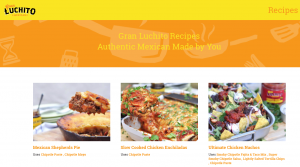 Gran Luchito is a wonderful, fast growing Mexican food brand named. The name, appropriately for an insurgent, is Spanish for ‘little fighter’, with the brand’s logo including a drawing of a Mexican wrestler! I met the company’s inspirational founder, Fergus Chamberlain , four years ago when I mentored him on the Marketing Academy programme. At the time Fergus was in the early days of his business. Fast forward to today and Gran Luchito has a range of 15 products available in most UK food retailers and internationally from Norway to Australia. With my background being in big food and drink companies like Unilever and PepsiCo, it’s been fascinating to contrast this experience with that of a successful small insurgent. Like most great brands, big or small, Gran Luchito has a sharp positioning, summed up with the brand idea, ‘Real Mexican Made By You’. The positioning is built on brand truths that tap into the key insurgent growth drivers highlighted in our research: naturalness and product quality. Gran Luchito uses high quality, natural ingredients including Mexican chillies, lovingly grown and smoked for generations by Local Farmers in Southern Mexico, and most products are hand-produced in Mexico. 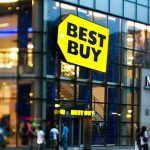 In this way, the brand offers a high quality, more authentic alternative to the category leader, Old El Paso. Insurgents like Gran Luchito lack the budgets of big brands but make up for this by creating highly distinctive assets. 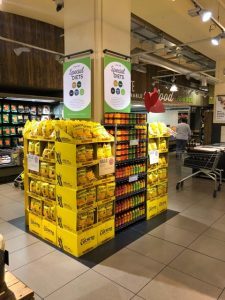 The brand’s bold colours, especially the signature yellow colour, create impact and stand-out at shelf (see below). The distinctive look and feel is used consistently across the whole range and provide the ‘look and feel’ guide for the web-site, on-line recipe books, in-store point of sale, etc.. In terms of ways of working, Gran Luchito is a perfect example of the agile approach to product development, responding rapidly to emerging trends. Consumer closeness has been ‘baked in’ to the company’s DNA from the start, when Fergus sold the brand direct to consumers at Maltby Street Market in East London. The mind-set is to move quickly but without ever compromising on quality. Close tracking of consumer reviews and a direct dialogue both off and on-line help create a stream of insight without the cost of conventional research. Importantly, Gran Luchito also maintains intense closeness with retail customers. 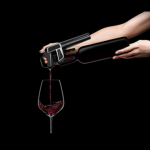 Many of new products have been developed at pace in association with progressive retailers such as Ocado and Whole Foods Market. I was never truly convinced by the investment returns of digital marketing during my time in big food corporations, so it’s been refreshing to see how an insurgent brand really makes it work for their business. The team make a relatively small budget go a very long way by focusing on marketing that is effective at driving significant and continuous growth in brand penetration Gran Luchito has an excellent website full of rich recipe content that helps drive organic search results for the brand (type ‘ultimate chicken nachos’ into Google and Gran Luchito pops up in 3rdplace, for example). The brand also has a large on-line community and makes very efficient use of paid search and programmatic display. Gran Luchito is a great example of an insurgent brand where the leadership and whole team have a true passion for consumers and products. 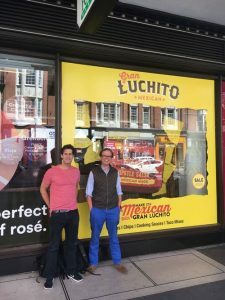 Fergus and his team genuinely bring their whole selves to work every day and are totally committed to their vision of bringing high quality, tasty, authentic Mexican food to homes around the world. This is just the sort of passion we urged the big brand leaders to re-ignite in our research paper, Big Brands Under Attack, given the focus of many big companies on cost cutting and efficiency. In conclusion, Gran Luchito is a great example of an insurgent brand with a sharp positioning built on a natural authentic product truth, brought to life with a distinctive mix and taken to market with an agile, responsive approach. The passionate, talented team have a deep understanding of both consumers and customers and use smart digital marketing focused on driving growth. Hopefully, Gran Luchito’s story provides inspiration for other ‘little fighters’, but also for big brands trying to respond and rejuvenate themelves! 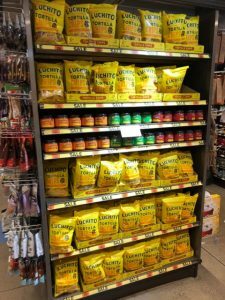 Please look out for Gran Luchito in your local supermarket, or on the web here, and give it a go the next time that you fancy ‘Real Mexican Made By You’!